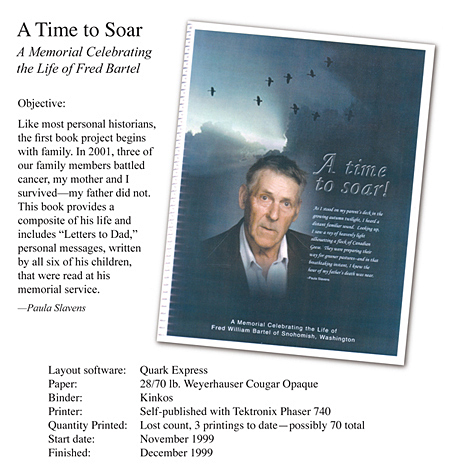 Click the magnifying glass icon to review sample pages from A Time to Soar. 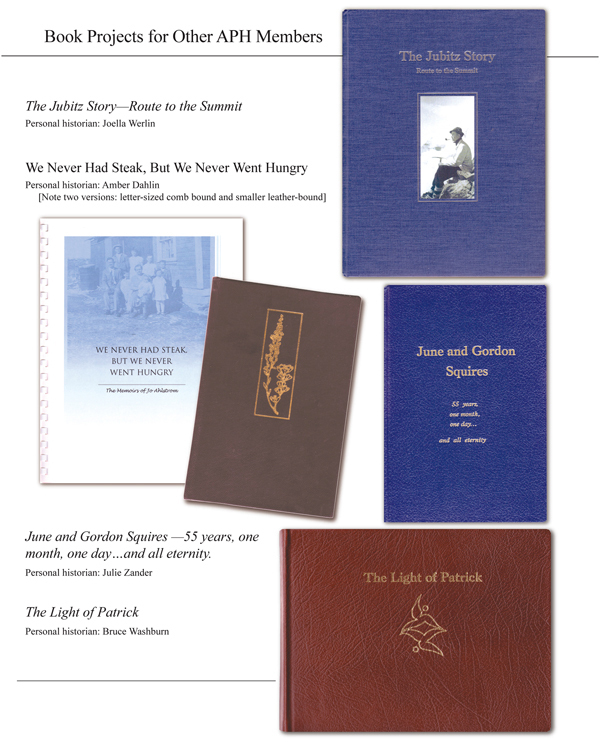 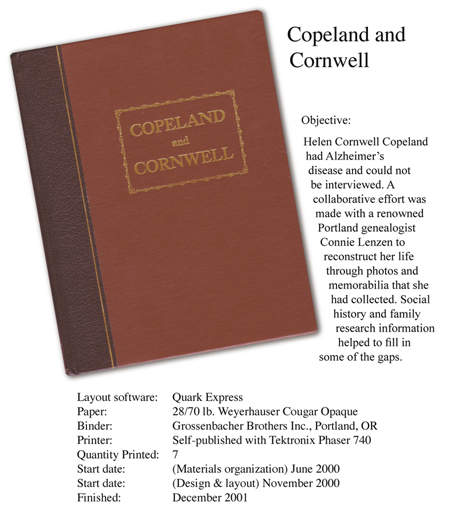 Click the magnifying glass icon to review sample pages from Copeland and Cornwell. 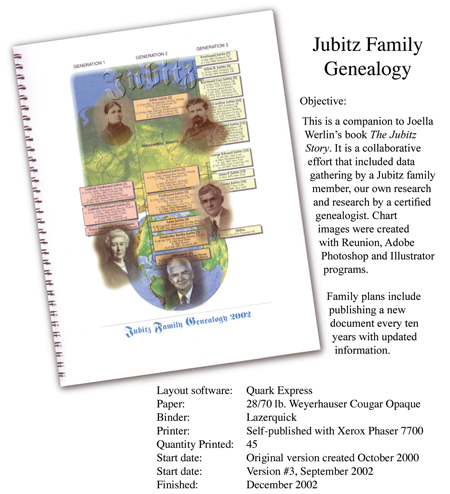 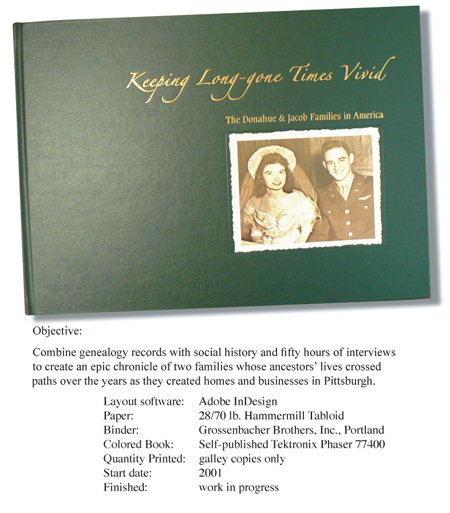 Click the magnifying glass icon to review sample pages from Jubitz Family Genealogy. 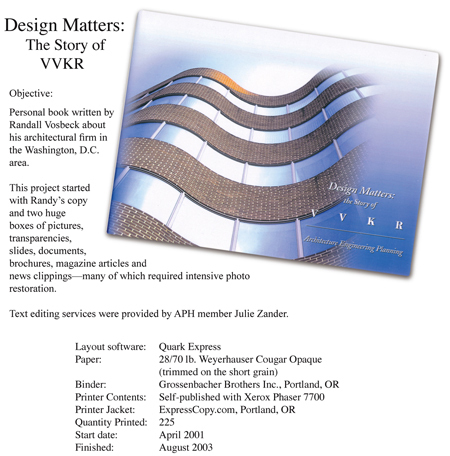 Click the magnifying glass icon to review sample pages from Design Matters. 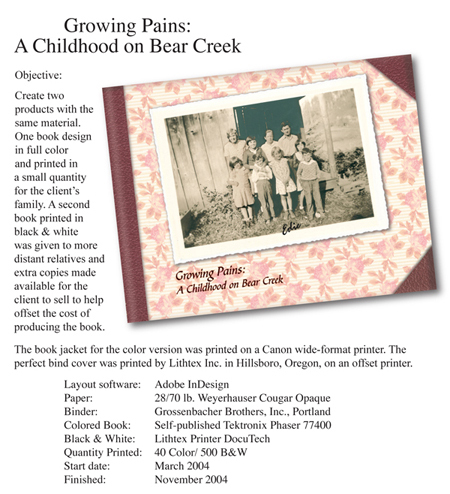 Click the magnifying glass icon to review sample pages from Growing Pains.